new website you can update yourself? website training so you can do it yourself? Sue Sutcliffe has been helping business owners leverage the Internet since 1993 and would be happy to chat about your website, unique situation, the various options available to you, and the associated costs. If you have the budget, it’s always best to hire a professional to create a website for your business and ensure it’s done right the first time. 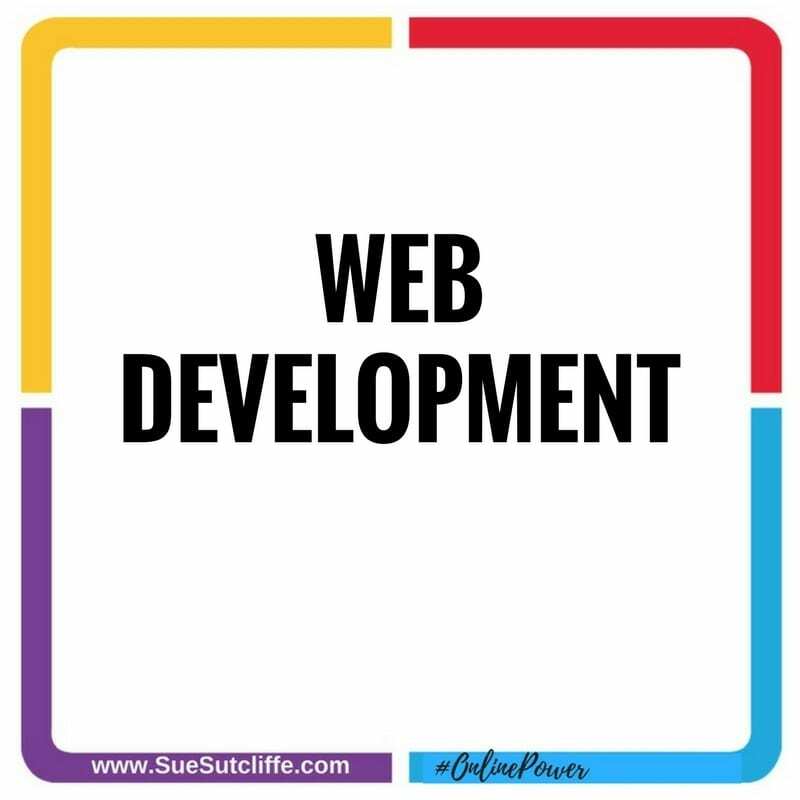 Sue Sutcliffe has designed 1000s of websites in the past 25 years, in a variety of sectors, ranging in price and complexity and she’d be happy to help you design the website of your dreams, or review and troubleshoot your existing website. Quotes are always free and Sue offers a complimentary no obligation consultation to discuss your unique situation, the various options available to you and the associated costs. 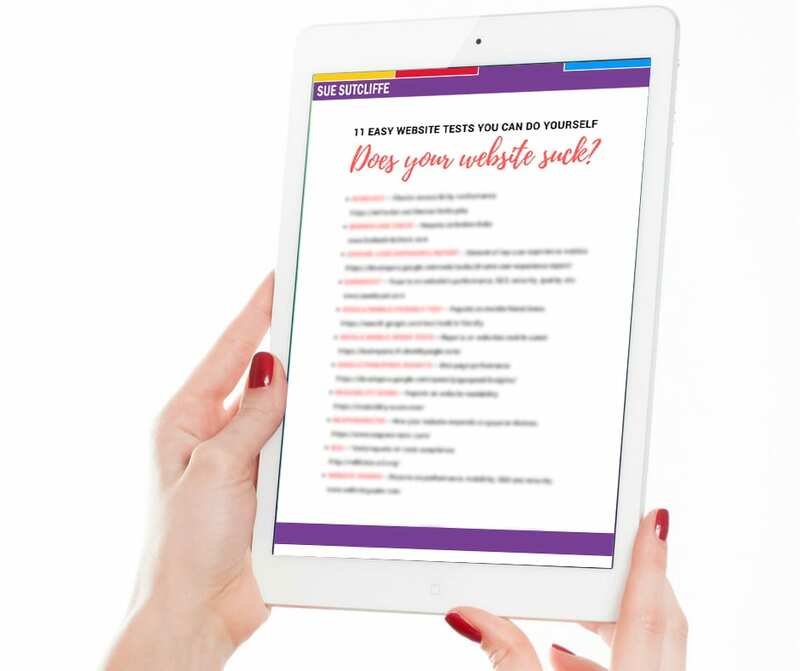 If your website is more than a couple years old or simply not bringing you an ongoing stream of leads, chances are it’s time for a review to find out what’s holding you back. 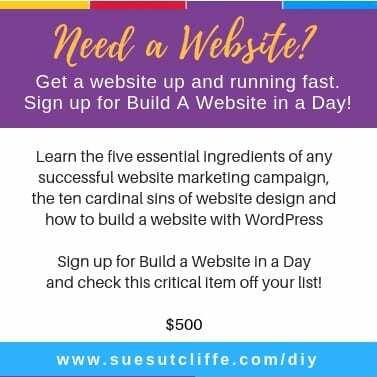 Sue Sutcliffe has been helping business owners market their products and services on the Internet since 1993, and she’d love to chat with you about your unique situation, the various options available to you, and the associated costs.